International traffic grew by 17.6% due to strong demand for some of the airport’s new services to European cities such as Milan and Bucharest – both of which launched in December 2015. Emirates, which offers a double daily service to Dubai, and Aer Lingus, which this year added capacity to Dublin, also reported particularly strong demand. Domestic traffic increased by 10.2% compared to the same period last year due to strong uptake on the airport’s London routes provided by British Airways, easyJet and Ryanair. Flybe’s new services to Cardiff and Exeter also proved particularly popular. 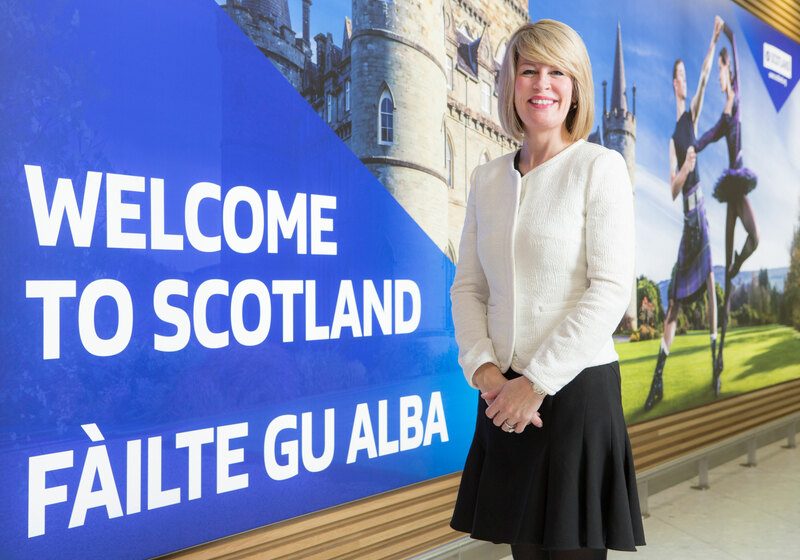 Amanda McMillan, managing director of Glasgow Airport, said: “After being named one of the fastest growing airports in Europe in 2015, it is a huge achievement for us to start our 50th anniversary year with yet another month of double digit growth. “We anticipate 2016 will be our busiest year on record, welcoming nine million passengers through our doors for the first time. January’s performance follows the news that 2015 had been Glasgow Airport’s busiest since 2007. Annual passenger numbers were up by 13% to over 8.7 million ensuring the airport recorded its fifth consecutive year of growth. The airport was also confirmed as one of the fastest growing airports in Europe by trade body ACI Europe. Glasgow Airport also received a number of welcome announcements in January, including the news that Thomson will start a new route to Girona in summer 2016, Flybe will begin a new summer service to Newquay, and Virgin Atlantic will extend its Orlando service for winter 2016.